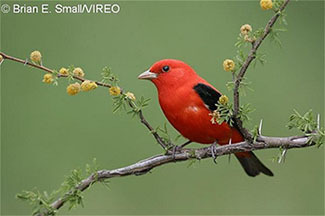 VIREO has the most comprehensive selection of bird photographs available for licensing. To request images or discuss terms, please call or write Dan Thomas (215) 299-1069 with your request. To determine the licensing fee, we will need to know where the image will be reproduced, the reproduction size (e.g., 1/4 page, 1/2 page, etc. ), and the circulation or pressrun. We will agree on terms, then send you a selection for your consideration. If contacting us by e-mail, please include your address, telephone number, and affiliation.